Three species of clubskimmers (Brechmorhoga) have been recorded in the USA. One of these species (Pale-faced Clubskimmer, B. mendax) is relatively widespread. 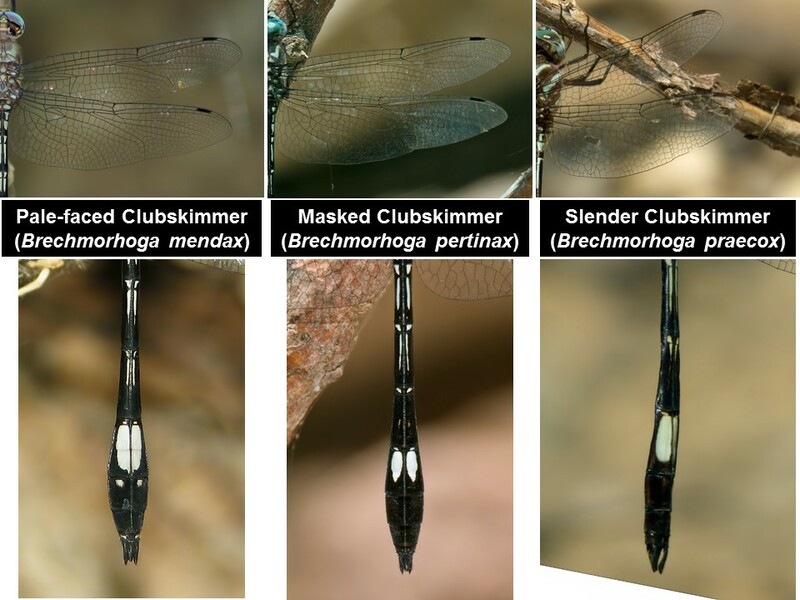 The other two species have a more restricted range: The Masked Skimmer, B. pertinax, is known only from records in Arizona and Texas (Odonata Central) and the Slender Skimmer, B. praecox, has been observed only in Arizona, where discovered at two locations in 2015 (Bailowitz et al., 2016: Argia 28/1 p. 18). Masked Clubskimmer: outer third of wings pruinescent, giving milky appearance that can be obvious in flight. Slender Clubskimmer: medium size, spatula-shaped. Slender Clubskimmer: Smaller and more delicate than other species; length 46-53 mm.